The frequency of incontinence ranges from 17% to 55% and 11% to 34% among community-dwelling older women and men. 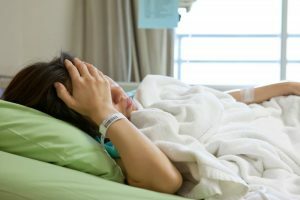 A recent study by Palmer and co-workers found a significant increase in urinary incontinence in men and women hospitalized for hip fracture. Interestingly, they reported doubling in the prevalence of urinary incontinence from 20% to 40% after surgery. Are you taking care of a senior with incontinence? Read our advice blog to find out how we can improve elderly incontinence care. In 1940, an American surgeon, Dr Austin Moore (1899–1963), performed the first metallic hip replacement. This procedure is a step by step surgery that replaces the ball at the top of the thighbone and the hip socket. During the surgery, doctors use metal, ceramic, or plastic replacement pats. These can be attached to the bones in various ways. Hip replacements are used as a last resort when other treatment options have failed, however are becoming more popular and more advanced. Some Doctors now use a minimally invasive technique for the surgery, however problems such as incontinence are still common. 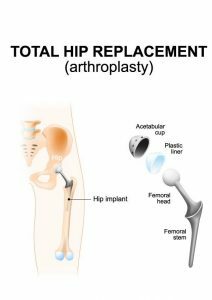 How Can Hip Replacement Surgery Cause Incontinence? Affected muscles during surgery are actually connected to the muscles around the pelvis. The root of the internal obturator muscle is connected to the levator ani muscle. This muscle plays a key part in supporting the pelvic organs. After surgery, therefore, it is common for individuals to lose control over urination. Hip replacement also brings a high risk of joint sepsis, the inflammation in a joint. This problem is a huge risk for bladder problems. Bladder functioning is additionally affected by severe pain, medication and confinement to bed. This loss of mobility and joint stiffness can prevent a person from being able to reach a toilet on time. Interestingly, those with hypertension and those who receive specific painkillers are at a higher risk of developing incontinence. There can often be some temporary nerve issues after surgery, which decrease your sensation. Often, temporary swelling after surgery can also affect your urination. It is important to consider that a large portion of those who have hip replacement are elderly and often already have urinary difficulties. Both the operation and the anaesthetic can disturb these functions further, which is worsened by reduced mobility. Urinary incontinence can limit a person’s social activities and interpersonal relationships. 60 year old Susie shared her experience of struggling with incontinence after hip surgery. She asserts, “soon after surgery, I noticed I had to a pelvic floor muscle contraction when I would cough or laugh”. She explains that doing kegels and hip adduction have helped her reduce leakages. Many attempts have been made to improve patients’ experiences after having surgery. A two-year project was based on the elective orthopedic ward at University Hospital Southampton NHS Foundation Trust. The project aimed to improve the patient experience of toileting and bladder care following elective hip replacement surgery. In February 2015, the project succeeded in a bid for a new bladder ultrasound scanner. Another success was improved team working between recovery and post-op wards. July 2015 saw a 10% increase in the proportion of catheters removed within 48 hours of surgery, from 58% to 68%. Urinary incontinence after surgery is often temporary and will resolve itself just a few hours after surgery. A catheter is often removed within 24 hours after an operation. However, for some individuals, hip replacements can worsen existing conditions or cause long term bladder problems. 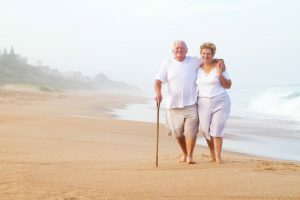 Following hip replacement surgery, Doctors recommend rehabilitation, physical therapy and the tips of a professional. Some hospitals even often offer you education classes to provide information on how to carry out daily living tasks immediately after a hip replacement. Although incontinence after surgery is difficult, remember that it can be treated more often than not! Are you suffering from incontinence after hip replacement surgery? Shop our range of pads and pants to manage your leakages discretely.